My biggest fan and harshest critic is an avid reader of this column. He also is my neighbor and a veteran of the construction industry. So as not to embarrass him, we will call him Sam. Sam approached me over the weekend and lamented the fact I don't write about construction topics - specifically the way commercial real estate is built. So in an effort to retain good circulation for the OC Register and pleasant neighborhood conversations, here goes. 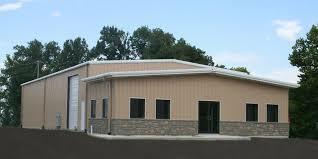 Many moons ago, commercial real estate - industrial buildings - was built of steel or concrete block. Steel, although structurally sound with condensed engineering, permitting and construction time had a shelf life shorter than most 25-30 year loan maturities. In our coastal climate of Southern California, steel is susceptible to corrosion. Nowadays, newly constructed metal buildings are not allowed in most Orange County cities. Many, however, are still found in the Inland Empire and numerous older industrial areas in Anaheim, La Habra and Santa Ana. Concrete block buildings have their unique advantages and challenges. The warehouse height of most concrete block buildings is shorter than modern logistics companies require. You are limited to the height at which you can stack blocks before a giant game of Jenga ensues. Openings - windows, truck loading doors, and man doors - create obstacles for concrete block construction as well. The more openings - the strength of the construction wanes. When the Earth starts to shake, a concrete block building - if not seismically retrofit - can end up a pile of rubble. The good news - concrete block buildings don't require much staging area during the construction phase - so they can be built in a smaller configuration. We still see concrete block construction in many schools, retail buildings and government facilities. In industrial applications - not so much. Enter the concrete tilt up building. 100% of new industrial construction and a large percentage of existing industrial inventory is comprised of concrete tilt up construction. Why, you may ask? It's design flexibility, structural integrity, and height capability. Watching a concrete tilt up building rise is akin to an enormous card house. The foundation is poured, the footings are dug, the slab serves as the casting area for panels which are poured in a stack. Once the panels (walls) are cured, a large crane plucks them and tilts them until the roof can be set atop. It is truly a cool process to observe. So there you have it, Sam. The building blocks of commercial real estate. Oh by the way, I like the new paint job on your house!